March 1: 5 POWER Lessons From 5 Leaders Who Made History On This DAY! While there are millions who were born this day, not everyone managed to lead of life that would set a direction for generations together. The following 5 personages, who belonged to those few, and their journeys, have ocean of lessons to learn from. We've handpicked the best from each of their lives. Read on! Rudolph Goclenius the elder (Gockel), a German scholastic philosopher, holds the pride of coining the term “psychology” in the field of science, which remains one of the major contributions till date. 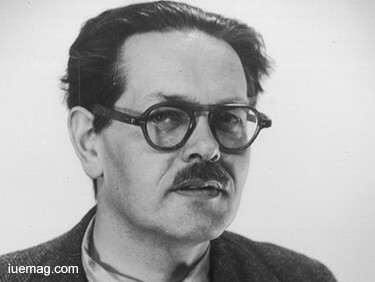 Gockel also had extensive backing and significant contributions to the field of ontology. Extending many ideas of Aristotle, such as both the introduction of ontology and metaphysics, gockel published several of them. As a follower of Aristotle's work, Glöckel continued in Aristotle's way of thinking, after giving philosophy, its name. The philosophical discipline of Ontology is thought to be developed in the 17th century by Glöckel. His philosophies belonged to a group called “Semiramists,” which was a group of Aristotelians who believed in advocating dialectic interpretation of Aristotle’s learning, but also advocating the exposition of averroism. Not confining his knowledge to one field of study, being highly literate, he also wrote articles on mathematics, geography, astronomy, botany, zoology, medicine and philosophy. 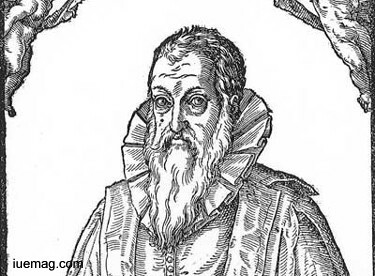 Goclenius’ major contributions also included publications which led to the term “psychology.” His Lexicon Philosophicum, is the first printed book to contain the word “psychology.” this German scholastic philosopher is often attributed for the initial use of the term "psychology" in his writing- "that is from the perfection of Yucologia of man, the rising of the soul. Success cannot be decided simply based on on perfection and experience, earnestness and sincerity also adjoin the growth of a person. The journey of William Cushing abides by the statement. He turned his life into a story that motivates each on us to achieve our desires. Being the longest-serving member, he was one of the original six Associate Justices of the United States Supreme Court, who held the bench for 21 years. Being the last judge of the United States to wear a full wig, he became the first practicing attorney in the province's eastern district. He was called to become a barrister and practiced law and after the American Revolutionary War broke out in April 1775, the Massachusetts Provincial Congress, sought to reorganize the courts to remove the trappings of British sovereignty. Consequently, it essentially dissolved the Superior Court and reformed it later. Of all its justices, Cushing was the only one to retain. 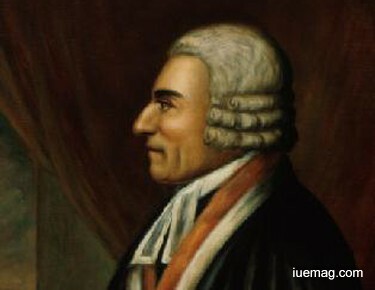 The provincial congress appointed Cushing to be the court's first sitting Chief Justice in 1777. He was a charter member of the American Academy of Arts and Sciences. He sat as Massachusetts Chief Justice, during which period the court ruled in 1783 that slavery was irreconcilable with the new state constitution, and it was ended in the state. Cushing realized that the secret behind professionalism are sincerity and earnestness which lead to discipline. Congregating focus and worshipping work certainly support our personalities as professionals. He never distorted his concentration on position in order to retain what he deserved. A successful career demands one to be genuine. Along with interest, sense of energy within us is also responsible for our actions towards building our lives. 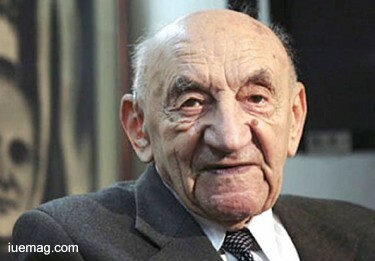 The zealous man, Boris Evseyevich Chertok was a prominent Soviet and Russian rocket designer, who was responsible for control systems of a number of ballistic missiles and spacecraft. He was the author of a four-volume book Rockets and People, the definitive source of information about the history of the Soviet space program. He became the deputy chief designer of the S.P. Korolev Rocket and Space Corporation Energia, the space aircraft designer bureau which he had started working for. Hunger to learn more, made him excel at everything he did and everything that came to him. He knew that if lessons remain lessons, then he cannot prosper and hence he chose to practically exhibit his learnings. This was one of the reason why he started from working as an electrician in a metropolitan suburb during which, he was already designing a military aircraft in a design bureau. Later, he entered the rocket-pioneering NII-88 as a head of control systems department, working alongside with Sergei Korolev. Boris Chertok, with support from his wife Yekaterina Golubkina, created the four-volume book series about the history of the Soviet space industry. The series was originally published in Russian. Most times, you need to be your own guide. Rather than depending on external sources, introspecting yourself would help you way better. Look deep into yourself to decide what’s next. Archer John Porter Martin was an English chemist who, more than what others expected him to do, focused on what he wanted to do for himself, following his own passion and did not fail to amuse the rest. He shared the 1952 Nobel Prize in Chemistry for the invention of partition chromatography with Richard Synge. He, who started working in the Physical Chemistry Laboratory, later shifted to and became the head of biochemistry division of Boots Pure Drug Company during which, he joined the Medical Research Council and there and was appointed as the head of physical chemistry division of the National Institute for Medical Research. He specialized in biochemical techniques that laid the foundation for several new types of chromatography including partition chromatography, paper chromatography and gas-liquid chromatography. Amongst many honours, he received his Nobel Prize in 1952. He published far fewer papers than the typical Nobel winners—only 70 in all—nonetheless, his ninth paper won the Nobel. The 3 chromatographic techniques which were invented by Martin, became very popular and are still used today. Soon, his chromatography techniques had spread like wildfire because the academia and the industry had been waiting long for a technique that could separate relatively volatile compounds cleanly and quickly. The oil and the gas companies benefited the most from his discoveries. He acted as a consultant to many firms during the later years of his career. It is indeed not easy to score superior positions. Lieutenant Commander, Eugene Kingsmill Esmonde was a distinguished British pilot who was a posthumous recipient of the Victoria Cross, the highest award for gallantry in the face of the enemy awarded to members of Commonwealth forces. Esmonde earned this award while in command of a British Fleet Air Arm torpedo bomber squadron in the Second World War. He was commissioned into the Royal Air Force (RAF) as a pilot officer on probation and then transferred to the Fleet Air Arm where he served in the Mediterranean when the responsibility for naval aviation was returned to the Royal Navy. 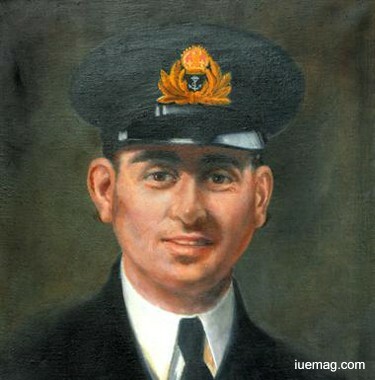 At the start of the Second World War, he returned to the Fleet Air Arm with the rank of lieutenant commander. Any facts, figures or references stated here are made by the author & don't reflect the endorsement of iU at all times unless otherwise drafted by official staff at iU. This article was first published here on 1st March 2017.